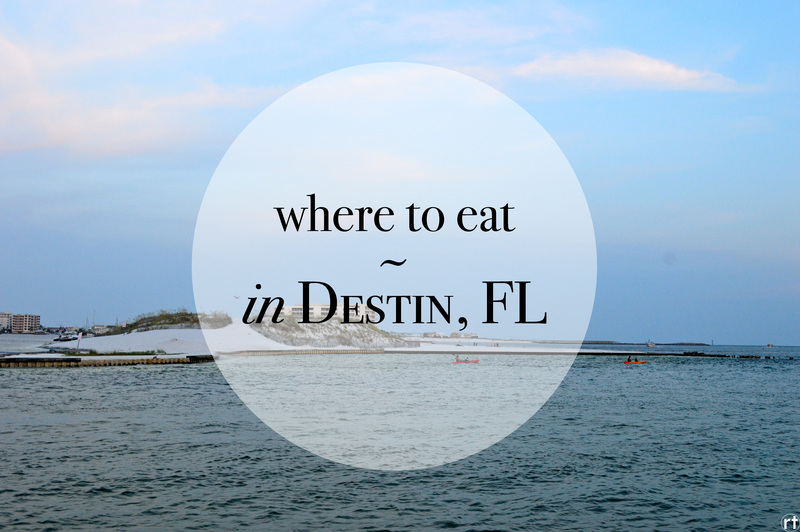 In a big city like Destin, it’s easy to go to the places you know like Moe’s or Chipotle. But go a little crazy! Take a step outside the norm and try some of these fantastic spots after a swim at the beach. McGuire’s Irish Pub Green and more green. 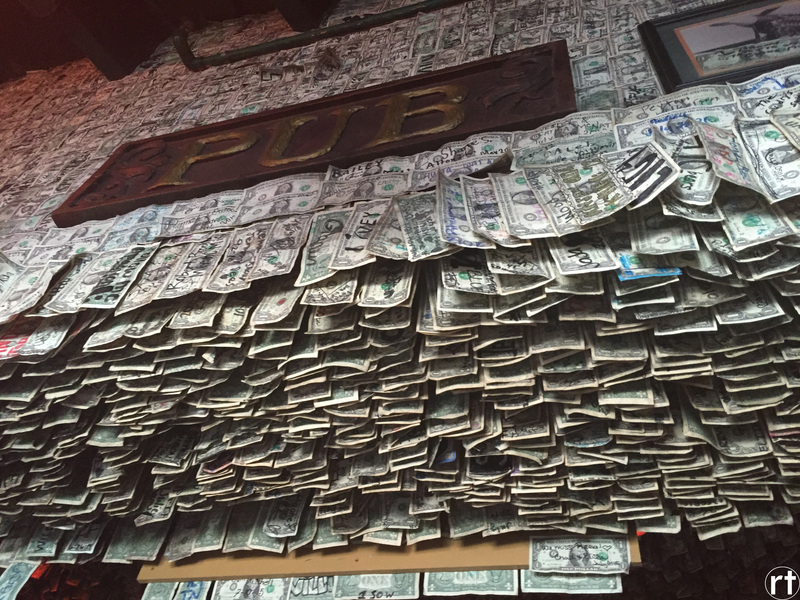 Recommended by locals, this Irish pub boasts over a million dollars (and counting!) 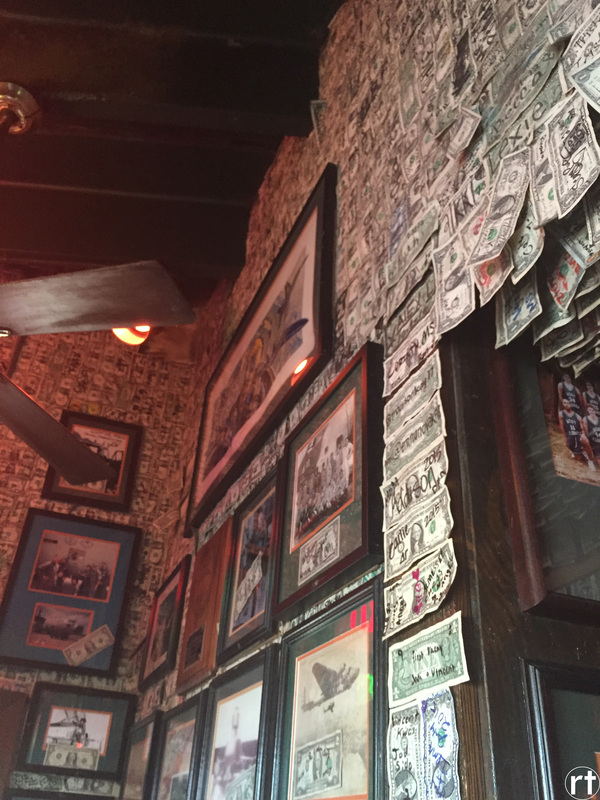 in one dollar bills hanging from the ceiling and stapled to the wall. I went with the Irish potato skins which included smoked Gouda cheese, Applewood smoked bacon and green onions. Let me just tell you that I love potato skins (and I’ve had many). But this one came in first place. Its perfect amount of potato (not crazy overload but not too too stingy) along with the generous amount of toppings will make your mouth water. And my several bites of T’s pork chop were also delish. 5 out of 5 stars for this spot for quality eats and unique venue. After a long, hot day at the beach, hanging out in the condo or hotel and ordering in may be just the way to relax. And Merlin’s fit just that ticket for us. While driving around Destin earlier in the week, we happened to pass this pizza place and actually thought it looked pretty sketch. But the next day some locals suggested exactly this place. 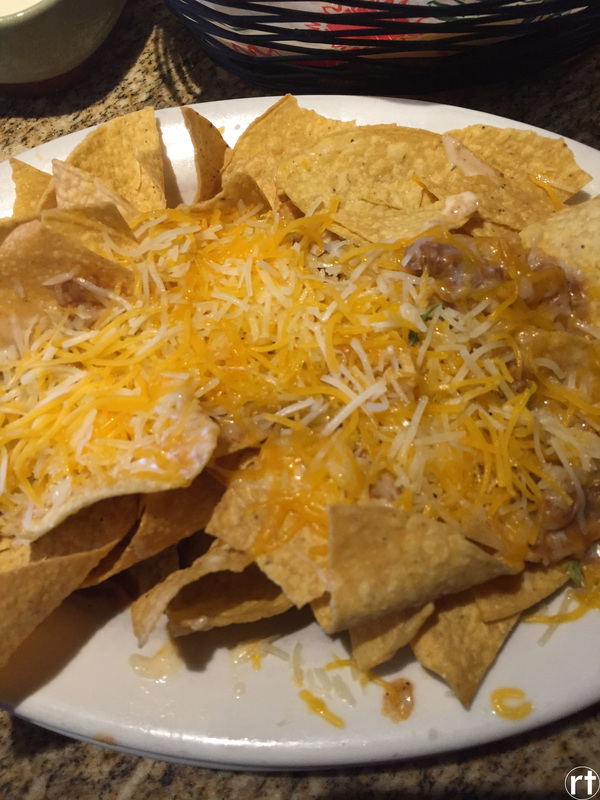 So, we gave it a shot, and it was so good that we ordered it not once, but twice during our week stay! Oh, and they deliver so you can pop in a movie or, ya know, be social with the fam and friends while avoiding that crazy Destin traffic. 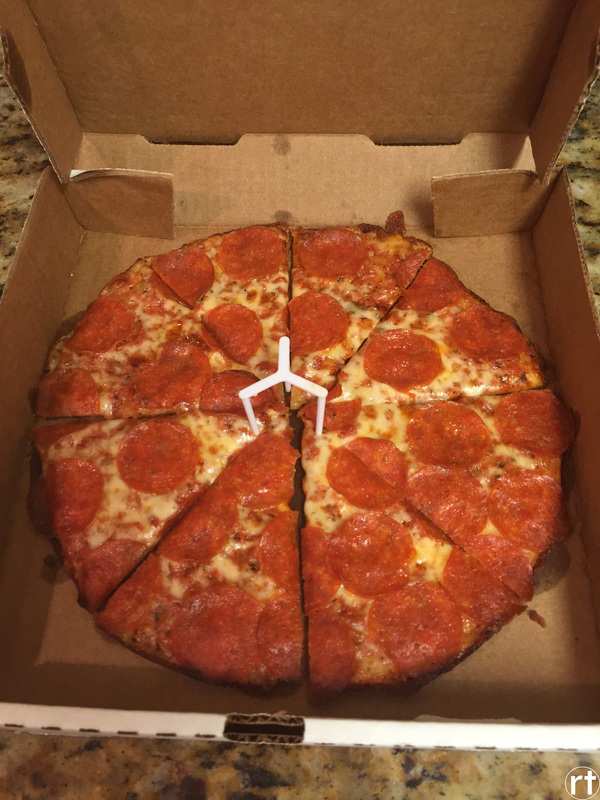 4.5 stars out of 5 for great pizza and convenience. Fantastic gluten-free option, too! And regular pizza pictured below (which also received two thumbs up!). Out. The. Door. The line was out the door multiple times throughout the week. So, it must be good, right? 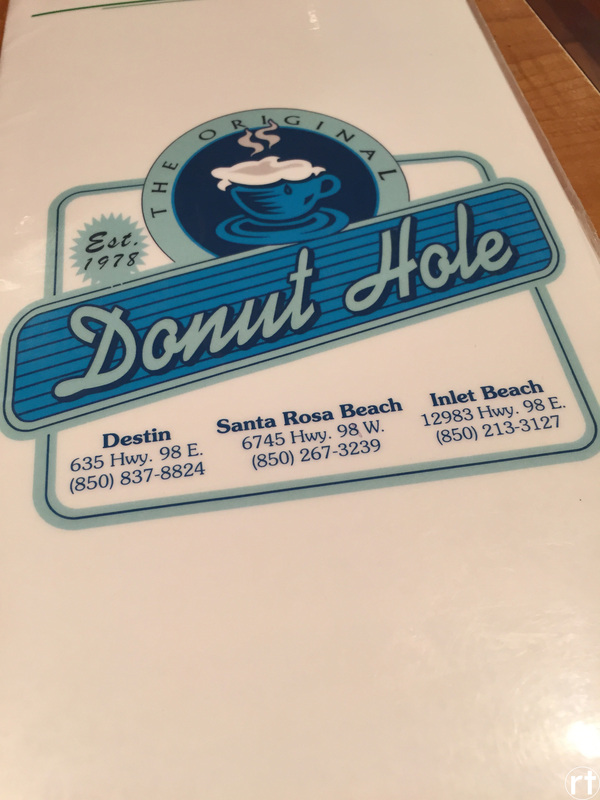 Well, we were right about The Donut Hole. Although the lines took awhile and their marquee advertising Fresh Key Lime Pie Daily looked yummy (but a bit sketch), this place was absolutely charming. Great service and yummy food. 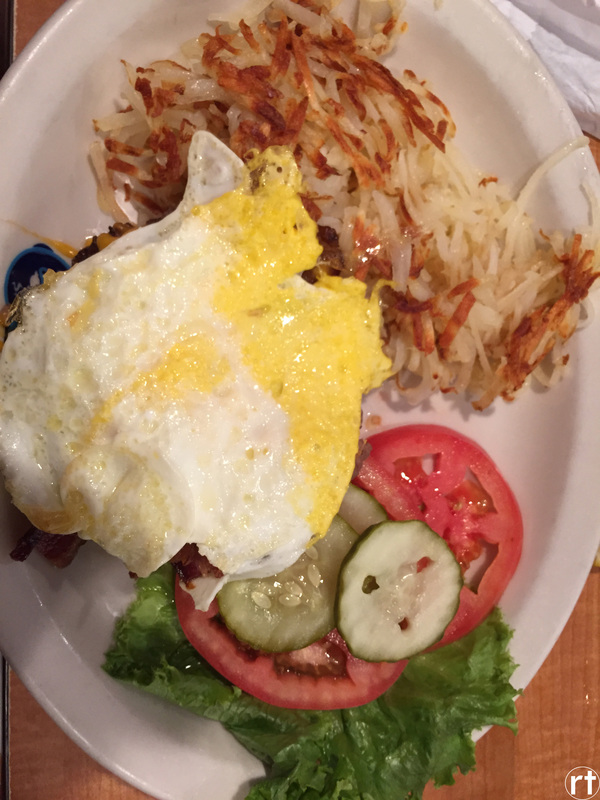 I went with a breakfast burger: hamburger patty, one fried egg, bacon and cheddar with hash browns on the side (minus the bun bc that gluten free life though!). The food and service was great. And let’s be real: they made some nice hash browns, and that’s really all a girl can ask for. 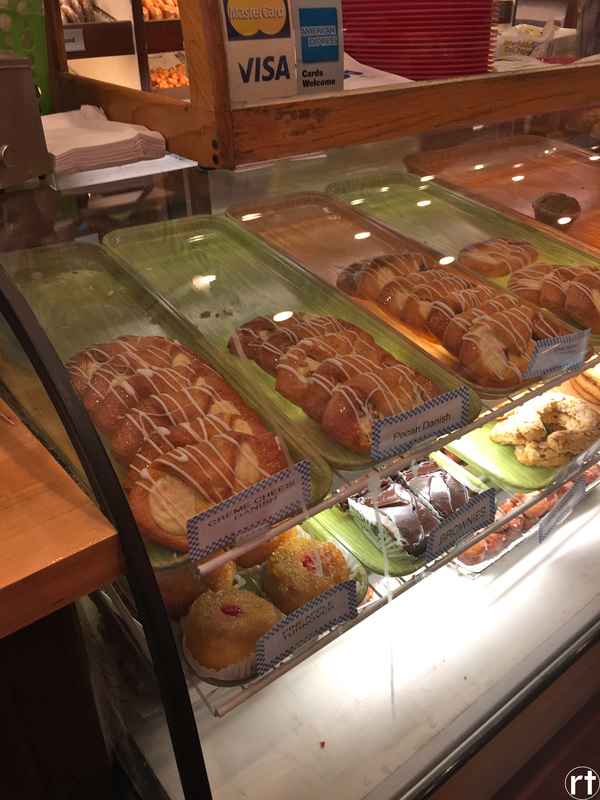 While I did not indulge in any gluten, R and company gave their donuts a thumbs up. (That would be bad if they weren’t because you might want to nail the title of your restaurant name, but that’s just me…). 4.5 stars out of 5 for good food, cute venue and outstanding service (even in morning rush). 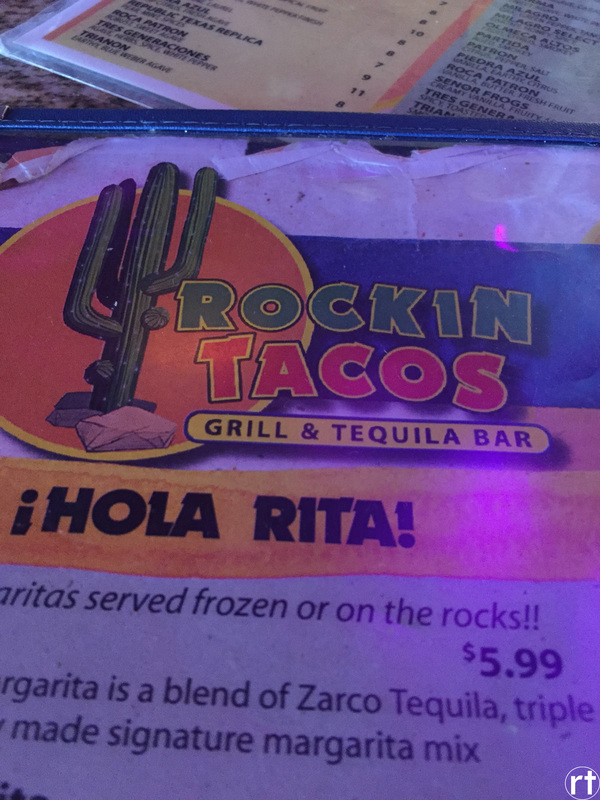 Rockin Tacos How can you NOT go to a place with a name like this?! If you order guacamole, be aware: they will literally make it right in front of you at your table, fresh avocados and jalapeños and all. Quality: check! My chicken nachos were so, so delicious. You know they’re good when you can’t stop eating even though you’ve already had chips and salsa and queso and avacado (whoops)! This new restaurant is technically on Okaloosa Island near Fort Walton Beach. If you go west on Highway 98 from Destin, you’re there in 15 minutes. 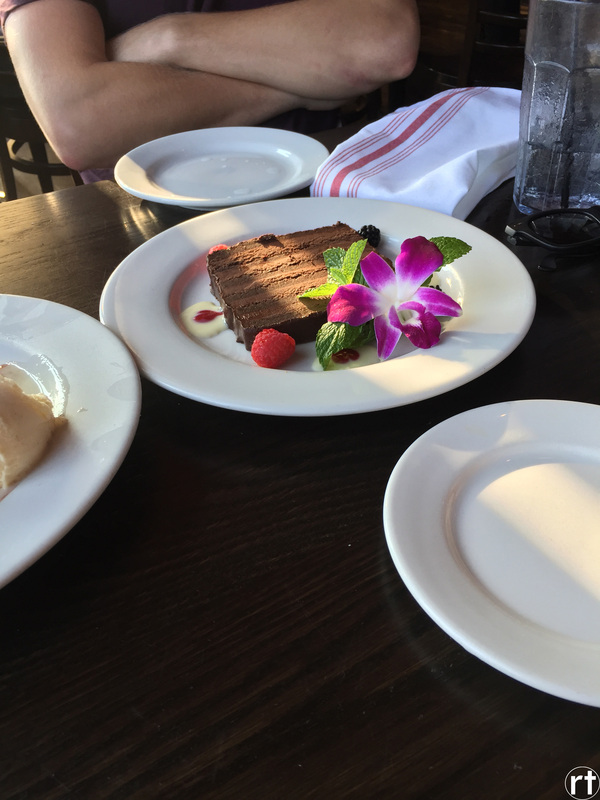 5 out of 5 stars for amazing food, fabulous service and ocean views! After so many of these extremely healthy (?) eats, I was ready for a lighter option, and Boshamps killed it. Even though this is, well, a seafood and oyster place, I ordered a salad (go, me?). And I felt a little lame, but then they brought it to the table. Then I changed my mind. Best. Salad. Ever. Guys, they put it in a flippin’ mason jar! The Boshamps “Shaker” Salad includes local iceberg, romaine, radish, season garden vegetables, cheddar cheese, honey roasted nuts and your choice of dressing. 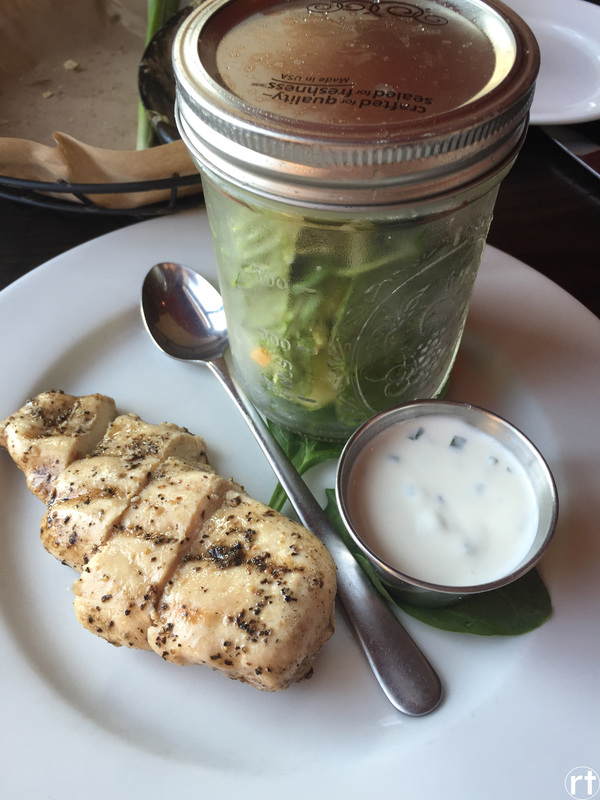 The mason jar was more than cute presentation because, ya know, it could “shake” the salad around and spread the dressing evenly. If you’re looking for a little more than just a plain ole salad, add some grilled chicken, shrimp or catch of the day. And after no thinking at all and disregard for the dinners and appetizer we just ate, we found it in us to ask about the dessert menu. After the waiter rattled it off, we said “One of everything, please!” Because it’s vacay, right? So, out they brought Mystery Pecan Pie, Cheesecake, Six Layers of Chocolate Love (flourless chocolate cake) and Pound Cake. While I just indulged in the Chocolate Cake (which was pretty good), the others approved all the other desserts. Boshamps gets a 4.5 out of 5 for tasty food and ocean views. Mint chip is a classic and a favorite of mine. It’s one thing to screw it up, but how do you go above and beyond with this frozen basic? It’s just mint ice cream and chocolate chips, right? Wrong. 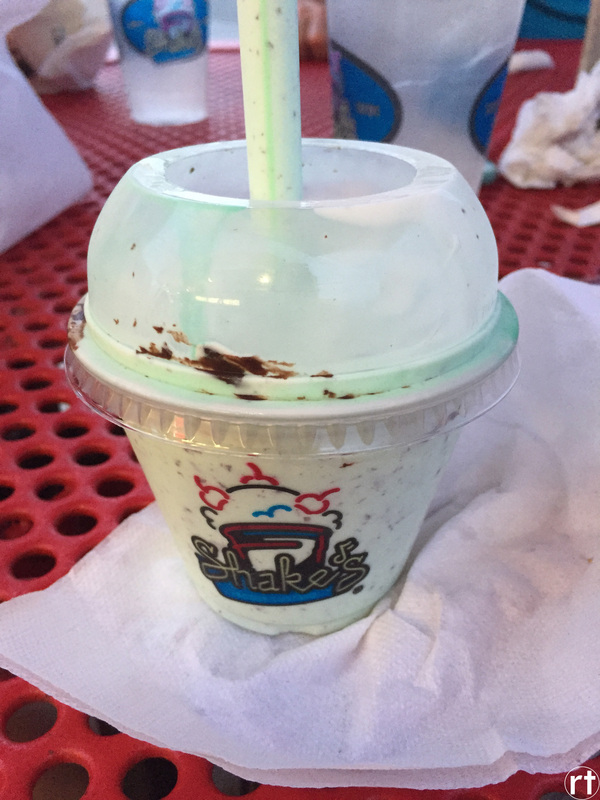 I ordered a mint chip shake, and I can’t even begin to explain to you how wonderful it was. The creamy mint and rich milk chocolate bits made for an amazing shake. 5 out of 5 for some darn good ice custard. Well, you can’t just have ice cream once on vacation. 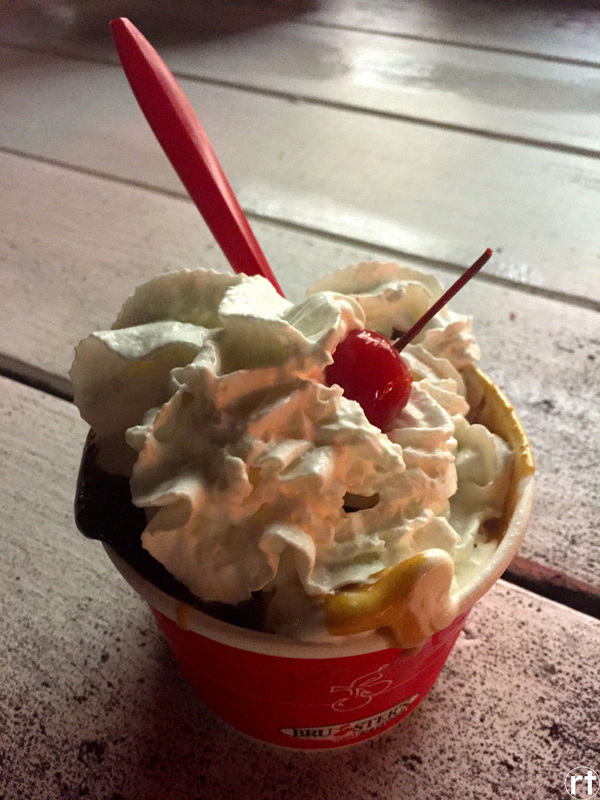 We’d heard good things about Bruster’s, and yep, they were right. I opted for the Peanut Butter Cup Sundae. The combo of peanut butter and hot fudge made me melt. 5 out of 5 for some quality scoops. 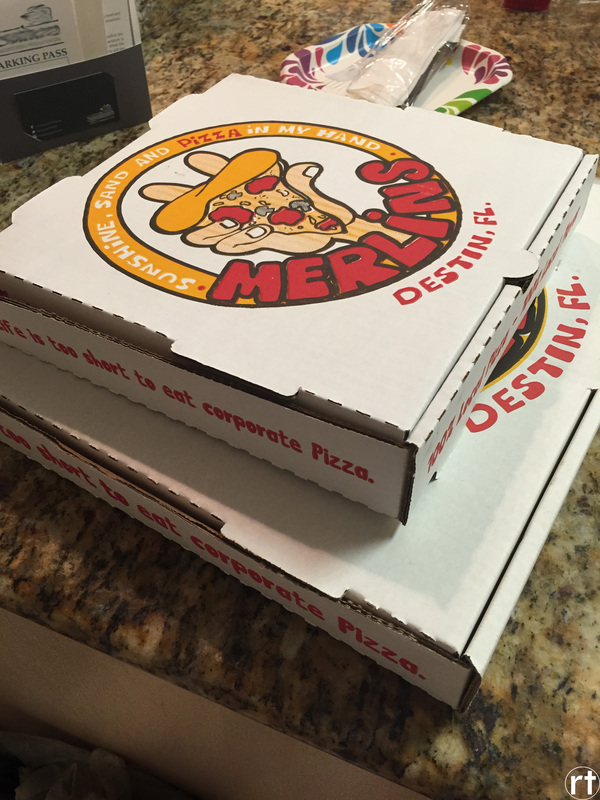 There’s no reason to waste your precious dollars on even one meal for your time in Destin. Indulge in these calories because running around on the beach and all that shopping balance it out, right?